Our first female was AKIMA PETRŮV DVŮR. Unfortunately, she left us after beeing seriously injured. Our next female was amazing FANČA OD ŠVEJKA. 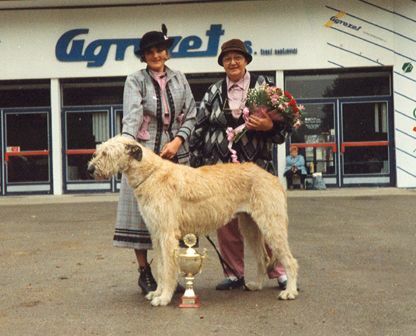 Thanks to her, I became interested in dog shows and breeding of this lovely dogs.She was very successful in shows and became Champion of the Czech Republic, Slovak Republic and WDK. She had three litters and her puppies were successful in breed (AMOK, BENJAMIN, CORA, CECILY). She died of bone cancer when she was 9 years old. I would like to thank to Libuše Švejková (breeder) for her friendship, kindness and valuable advice which she gave me about these dogs. Also I would like to thank to Jürgen Papenfuß and Jürgenu Rösner, breeders from the kennel of "Von der Oelmühle" in Germany, who have never refused to help me and have allowed me to use their good quality stud dogs for many years. 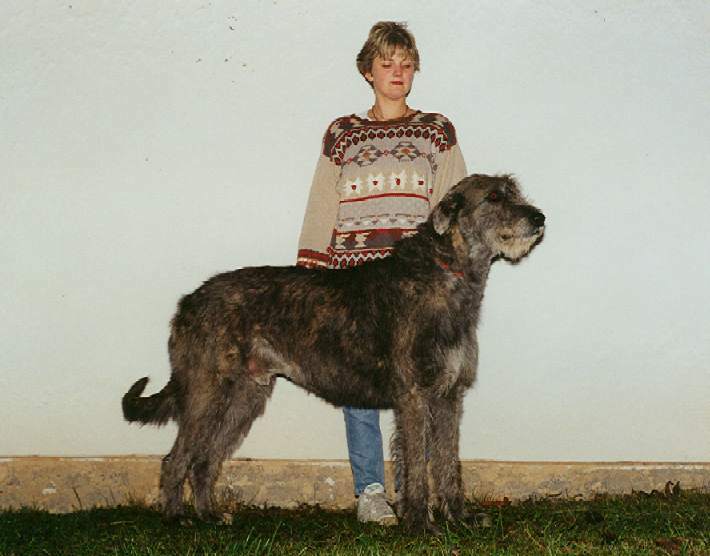 The second breed female of our kennel (PALUDUZ) was MAGENTA VON DER OELMÜHLE, great companion whose strong skeleton and friendly behaviour were her best contributions to the breed. 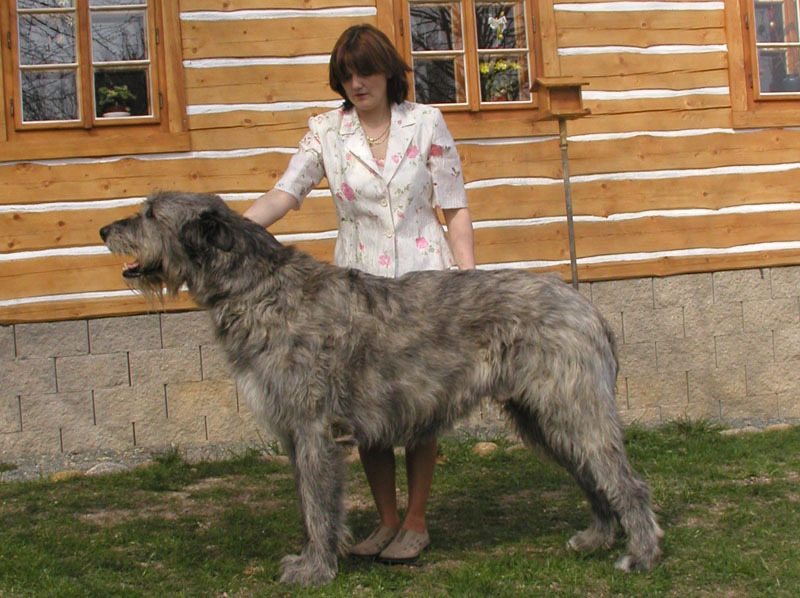 She had three litters and I decided to keep her daughter ELISABETH (called Bětuška) who later became our breed female. MAGENTA (born 11.6.1996) is enjoying her retirement and she still is the leader of our kennel. ELISABETH PALUDUZ is International Champion and the winner of the world show in Amsterodam (in middle class). Afterwards she littered her first puppies. The best of this litter is her son HUCKLEBERRY FIN and daughter HONNY, who are very successful in shows. 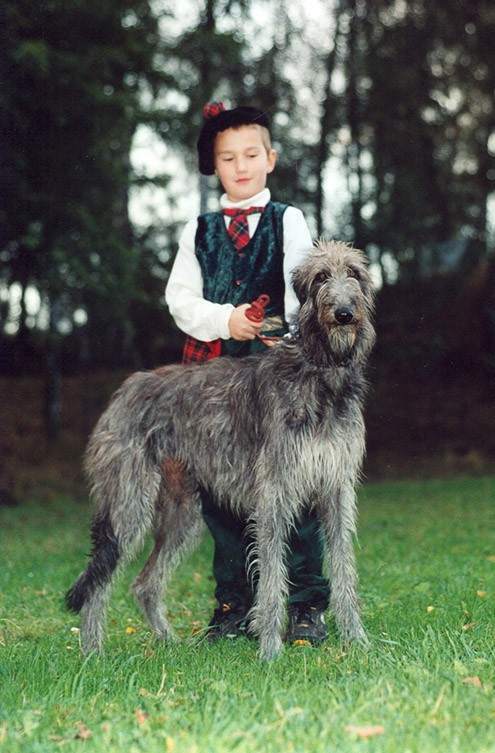 In 1995, BROKENWHEEL KODON (called FIN), imported from Finland, became a member of our large family. His distinctive nature was inherited by his offsprings. He had 6 litters and some of his puppies are successful in shows (ABRAM SIDERIT) and others are gifted for races (litter "A" Z PALEOLITU). He died at the age of nine, without any serious health problems. Another wonderful MAGENTA's puppy was GANDALF, an excellent dog who lived with us. 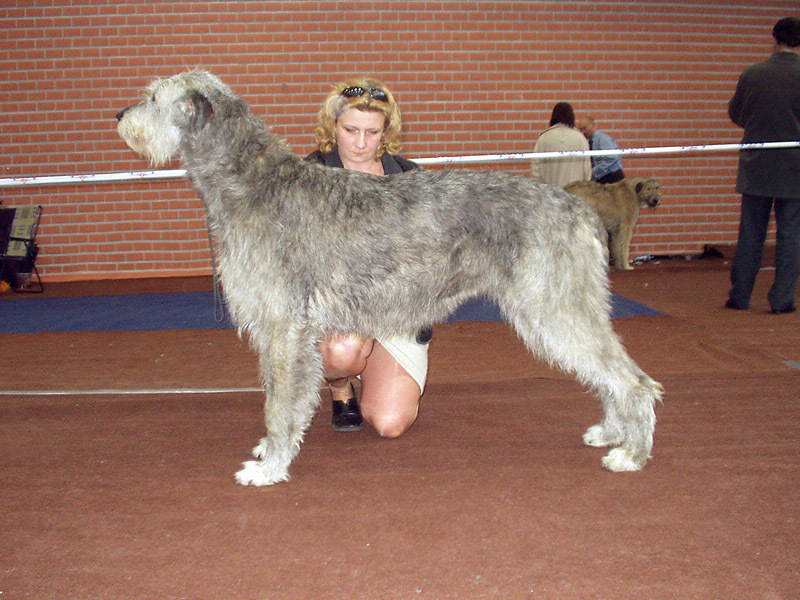 He did well in shows in the Czech Republic and also abroad (International Champion, 15x CACIB). I was very sad when he died of stomach torsion at the age of 3,5. I hope his offsprings will have his best qualities. Recently, our kennel has been enlarged by two young females ENIGMA MAKARIKARI and BEN VARREY REALLY IRISH. 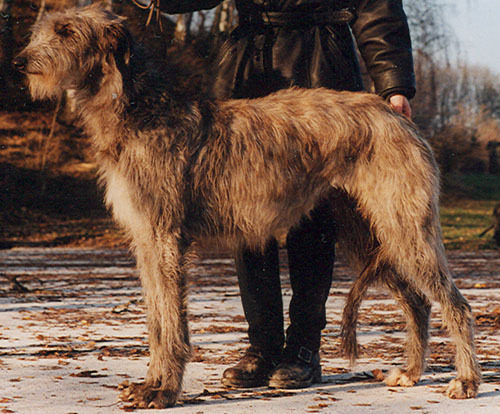 While visiting Von der Oelmühle kennel I was impressed by another breed, very similar to Irish Wolfhound. 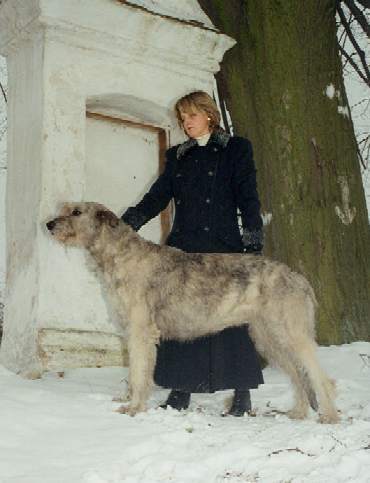 In 1997, I got first female of Deerhound AXETA Z BENÁTECKÉHO KŘEMENE. 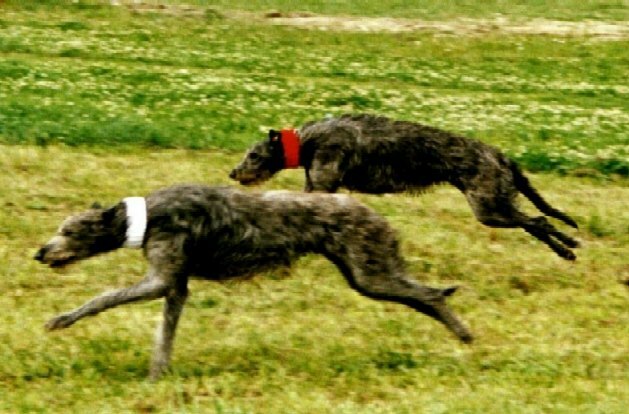 The first litter came in 1999 and let me learn about this excellent qualities of this ancient breed. While AXETA had one litter, her daughter ALPAKA has had two litters, 22 puppies altogether. They make us very happy.